AL-BAGHDADI, Iraq — Jihadists with the barbaric Islamic group ISIS, also known as the Islamic State of Iraq and Syria, have reportedly seized the majority of an Iraqi town near a base where U.S. Marines are teaching Iraqis to fight the terrorist organization. 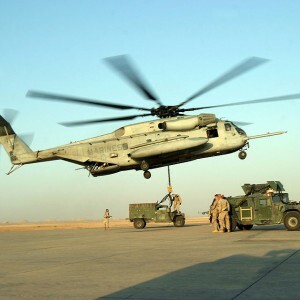 According to reports, the town of al-Baghdadi was seized on Thursday, just three miles from the Ain al-Asad air base, where approximately 300 Marines have been working to train Iraq’s 7th Division. The attack is stated to have occurred from all directions as ISIS took control of the central police station, as well as other government buildings. Ghazi Al-Gu’ood also told BAS News that the communication towers and the facility where national ID cards are issued were burned. “Ninety percent of al-Baghdadi district has fallen under the control of the insurgents,” district manager Naji Arak told Reuters. Pentagon spokesperson Navy Commander Elissa Smith also confirmed that the attack was near the base, but that Marines were not a target in the assault. “There were reports of ineffective indirect fire in the vicinity of the base,” she said. However, while the base was unaffected by the fighting, it has been a target of Islamic militants in the past, being struck by mortar fire within the last two months. In January, NBC News reported that the Ain al-Asad base had been “pounded almost daily” by ISIS, but that U.S. officials characterized the assaults as being “nuisance attacks” and were unsuccessful. U.S. forces carried out several airstrikes in Iraq on Thursday as the assault was underway, but mainly in Mosul and Kirkuk. As of Friday, Iraqi security forces were reportedly fighting back against the insurgency, seeking to reclaim al-Baghdadi from ISIS forces. The development comes just a day after the U.S. House Homeland Security Commission heard testimony that an unprecedented number of ISIS supporters are flocking to Iraq and Syria to join the jihad. As previously reported, supporters from over 80 countries are believed to be in Iraq and Syria at this time, with at least 3,400 of them being westerners. Approximately 150 Americans have attempted to travel overseas to join ISIS, some of which have succeeded while others have been caught. The current estimate is 20,000, up from a previous count of 10,000, and could escalate even higher to over 31,000. “This new total reflects an increase in members because of stronger recruitment since June following battlefield successes and the declaration of a caliphate, greater battlefield activity and additional intelligence,” an unidentified CIA official told CNN this week. In response to the report, Barack Obama sent out a letter to members of Congress seeking authorization for increased action against ISIS, which he refers to as ISIL. “If left unchecked, ISIL will pose a threat beyond the Middle East, including to the United States homeland,” he wrote. Obama said that action would include limited ground troops. “The authorization I propose would provide the flexibility to conduct ground combat operations in other, more limited circumstances, such as rescue operations involving U.S. or coalition personnel or the use of special operations forces to take military action against ISIL leadership,” he said.